Renew The Church! - website and Blog | All are called to holiness and the perfection of charity. 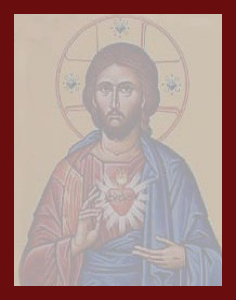 A spirituality of renewal begins with personal consecration to Christ: intentional self-offering to Him in love. It is consecration to a life for Him, and for others because of Him. It is a spirituality of the ordinary life, for ordinary men and women. It is for ordinary persons, yet ones who by holy grace yearn to do great things for God. It is a spirituality of prayer and works offered in love and in reparation. It is an ordinary yet extraordinary life in Christ that may be joyfully hidden, unrecognized and unacknowledged. It is a life of quiet labor in Him, loving in faith and in hope for His Promise. Renewal of the Church – the Holy Church sent as Sacrament to the world – begins with the renewal of persons, one person at a time. is awakened as if from a strange sleep – discovering the world and life anew. Finding Christ, he has found his own life as well, his vocation and his purpose: all is found in Christ. Christ is always so very near, yet how distant until He shows Himself to us! He is found in quietness, in solitude, in prayer. All who seek will find – this is His promise! Renewal of the inner man requires an interior life – a life of prayer. ….. is light in this dark and darkening world! By her holiness she will shame the heretics and the skeptics – and in His holy grace, by her holiness she will regather those who are lost and separated. The Church renewed in Christ will change the world. “Be patient, therefore, brethren, until the coming of the Lord. Thanks for your faithfulness to God’s Grace in writing this. There are many, like me, who will identify with all you have written and some may not — yet! As little St. Therese of Lisieux, wrote so wisely: “Everything is Grace”. Others may also acknowledge that they encountered Christ who led them to know our Mother Mary or others may add they felt Mary led them to Christ. God works uniquely in every soul He created, He may draw us in different ways to that union with Him which is our call to holiness. The path of renewal is an important gift from God to His Church which you are sharing here. May Christ live more full in each of us and in all of us as His Body, by the power of His Holy Spirit through Mary. After my four score years of life and priestly work I have begun silent retreats “offered freely” (Mt 10:5-8) for what so many need a truly real renewal of faith especially for millennials baptized but not raised in the faith.